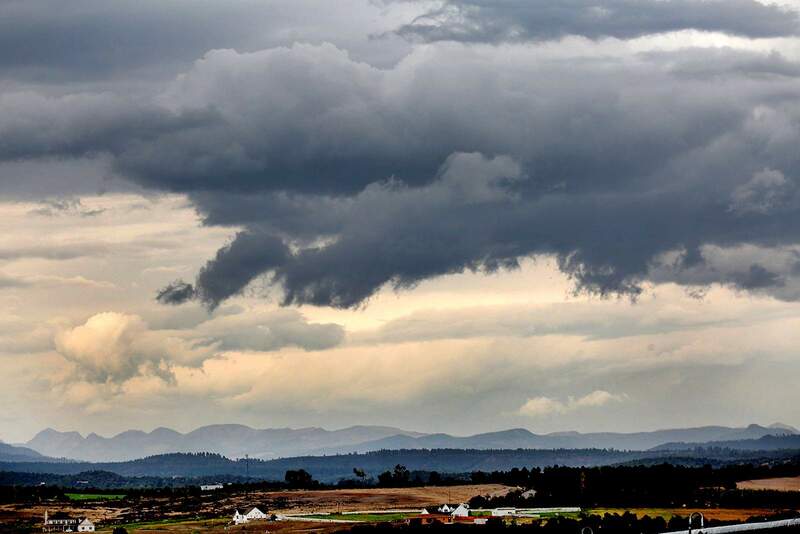 Clouds darken skies above La Plata County on Tuesday afternoon as two storms move into the region. The National Weather Service has issued a flash-flood watch until noon Wednesday. 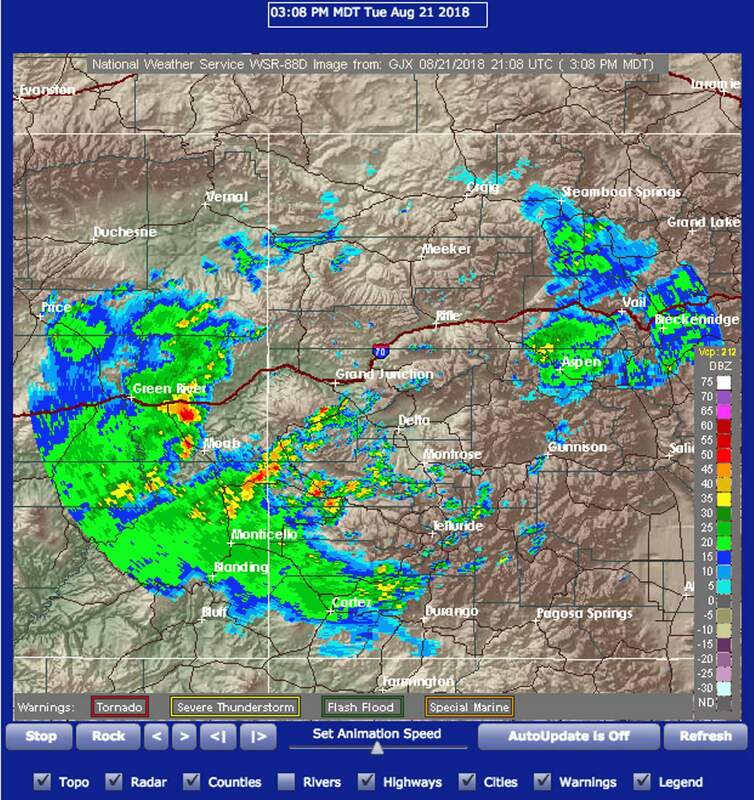 Two storms moving into Southwest Colorado are setting up what could be perfect conditions for flash flooding and debris flows from the 416 Fire burn scar. The National Weather Service in Grand Junction issued a flash-flood watch from noon Tuesday to noon Wednesday. Mike Charnick, a meteorologist for the Weather Service, said a weather system from the southwest, similar to a monsoon pattern, is going to put more moisture in the air, increasing the chance for precipitation. At the same time, another weather system coming in from the north will provide some longevity to the storms, as opposed to the spotty, isolated thunderstorms the region has seen this summer. Soils burned in a wildfire can no longer absorb moisture, so when it rains, there is a high risk of flash flooding. These concerns materialized in late July when rains on the 416 Fire burn scar brought down debris flows north of Durango. This storm system poses a risk to more than just homes and businesses in the path of mudslides from the 416 Fire. The Weather Service issued the flash-flood watch for all major fire scars across the state of Colorado. Charnick said there could also be flash flooding in areas outside fire burn scars. The Weather Service recommends people at risk monitor forecasts and be prepared to take action should flash flooding occur. Megan Graham, a spokeswoman for La Plata County, said emergency personnel are aware of the risk and ready to respond. “We’re very much aware ... and we’re ready to go really quickly,” she said.